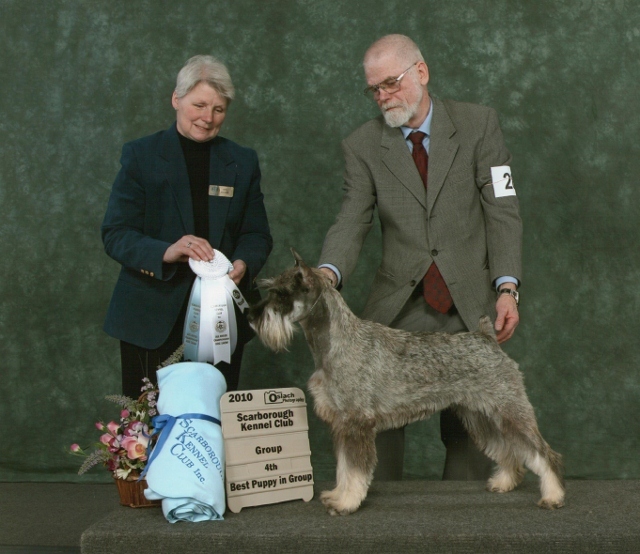 This is a picture of Sophie winning at her first show. 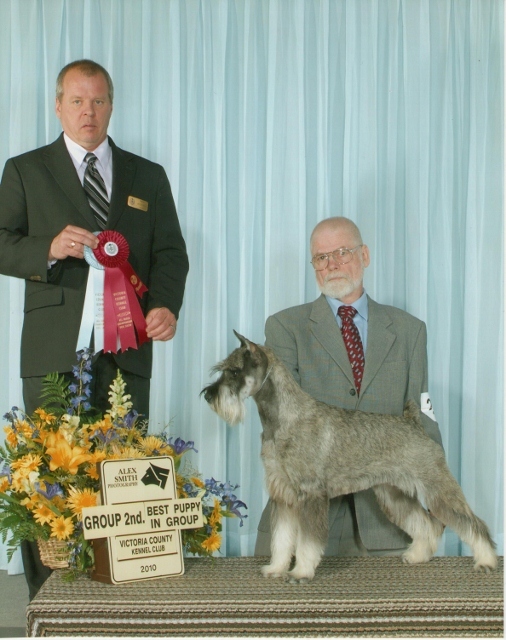 This is a picture of Sophie winning Best of winners at the Standard Schnauzer Club of Canada's national Specialty July 10, 2010. 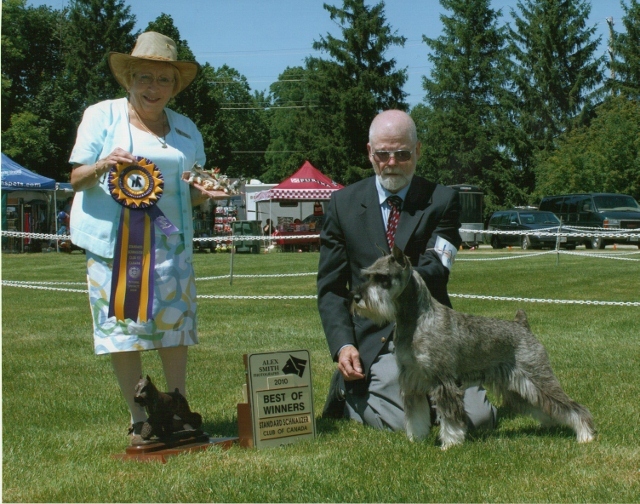 This is a picture of Sophie winning Best of sweeps at the Standard Schnauzer Club of Canada's National Specialty July 10, 2010. 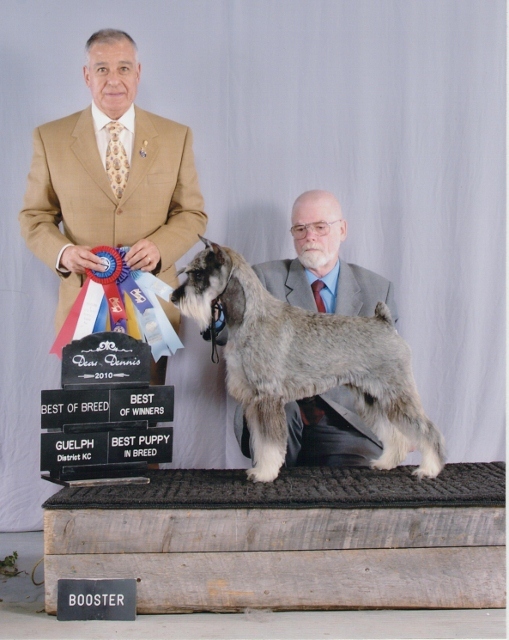 This is a picture of Sophie winning Best of Breed at Guelph Dogshow. 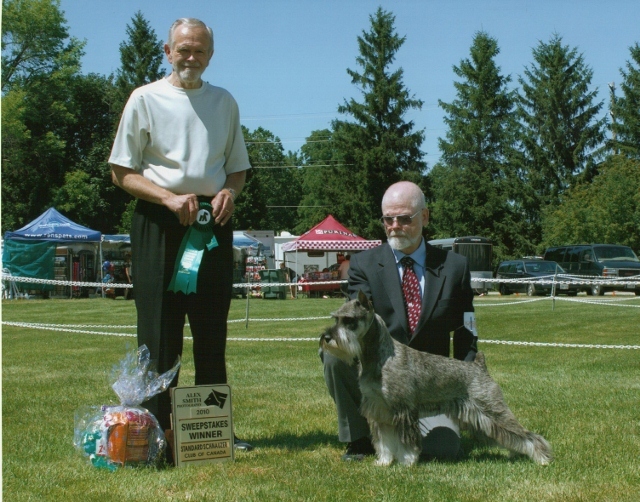 This is a picture of Sophie winning Best of Breed & a Group 2nd at Victoria County Kennel Club Show.